When you have a large property, a walk behind leaf blower is absolutely essential. You don’t have time to mess around with a little handheld leaf blower. On that note, a backpack style is not going to cut it either. 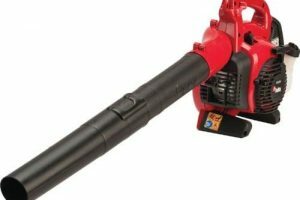 You need to call in the big guns of a walk behind leaf blower that offers a level of power that is unmatched by any other models. If you have to complete a large job, you will require their efficiency to get the job done. The downside to choosing a walk behind blower is that they are quite bulky. You will need to dedicate a small portion of garage space for storage. However, you will gladly sacrifice the extra room in your garage for this unit. These powerful leaf blowers will eradicate every leaf on your lawn. The Troy Bilt TB672 Jet Sweep Wheeled Leaf Blower combines a modest price tag with powerful performance. It is a great option for anyone who owns a large property and wants to streamline their lawn maintenance. Powered by a 208cc OHV gas engine. Offers a 150-mph airstream that easily removes leaves from your outdoor space easily. Soft-grip handle offers comfort while you work. Provides proper ventilation thanks to a 1000 CFM airflow volume capacity. Lightweight and easy rolling wheels require little effort to push, even on hills. Provides a powerful stream of air to move leaves. Drastically decreases the amount of time it takes to clean your yard. Offers great value for the price. 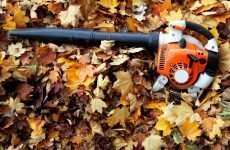 Unable to control the direction of the chute, so you are forced to blow leaves on one side of the blower. The Patriot Products Walk Behind Blower is a feature-packed model that will take care of any job start to finish. 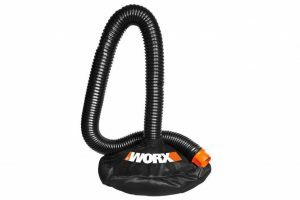 The 3-in-1 walk behind leaf blower design is incredibly beneficial for anyone looking to get the job done in one go. Covers a wide 24-inch path with every pass. Easily switch between modes by flipping the handle. This allows you to quickly transition between the blower and vacuum functions. Honda long lasting engine provides smooth and fuel efficient power. It also emits little noise. Gathers fallen branches and chews them into chips and provides a full cleanup. 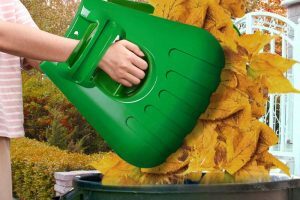 Provides heavy-duty suction power that can take care of heavier debris such as wet leaves. Excellent versatility allows you to vacuum, shred, chip and blows debris away. Shreds leaves to a smaller 12:1 ratio. Start mechanism is heavy which makes the machine difficult to turn on. Manual pushing is required as there is no self-propelled option. 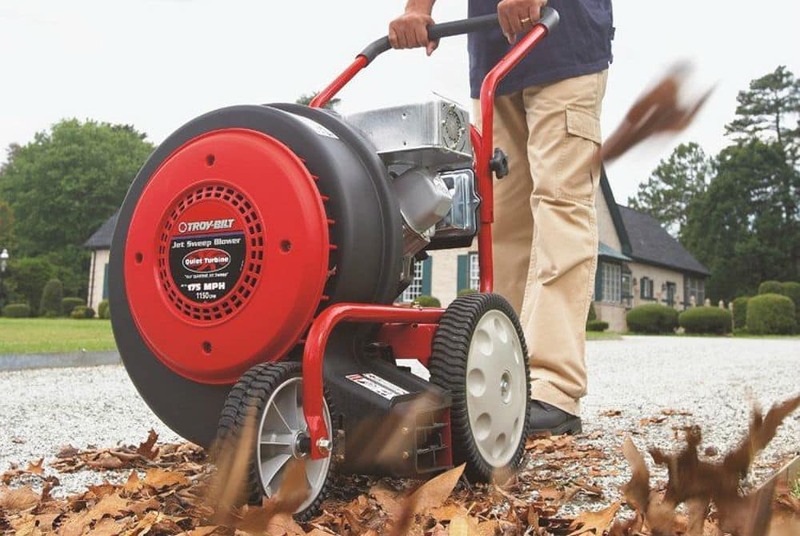 Both the Troy-Bilt and Patriot Products offer powerful walk behind blowers with great options. 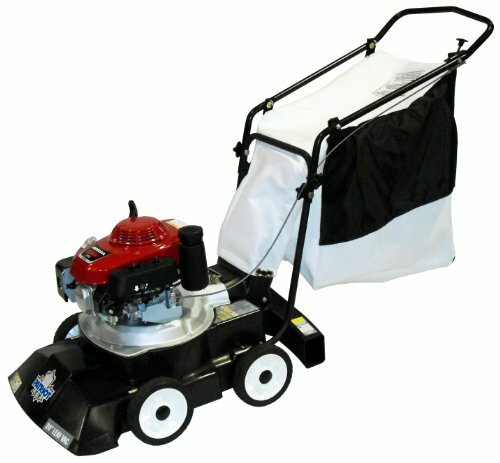 Each model is packed with features that will drastically reduce the amount of time you spend cleaning your yard. 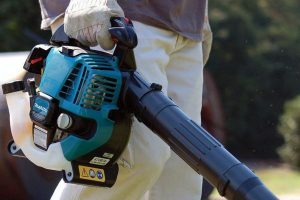 Many landscaping businesses own one or two of these powerful machines to get their work done faster. 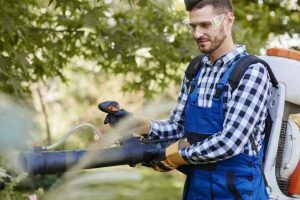 Technically they are considered along the lines of a commercial walk behind leaf blower, but if you have a large yard, you might want to consider one. These models are gas powered which gives you the freedom to work without the annoyance of cords or batteries. You will also notice huge differences in the amount of wind power provided by a walk behind. Each model is equipped with a high-performance engine that is appropriate for their price point. The Troy-Bilt model offers a 208cc OHV gas engine that provides great performance during use. The Patriot Products walk behind blower boasts a Honda engine that is incredibly fuel efficient. Each of these models falls on different ends of the pricing spectrum for walk behind leaf blowers. 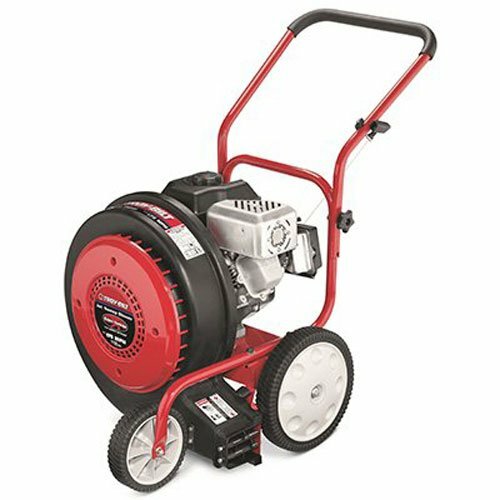 The Troy-Bilt model offers entry-level pricing that provides a lot of value. Given the price, you can easily overlook some of the pitfalls of their design. The Patriot Products 3-in-1 blower is full of great features. However, that is definitely reflected in the price. 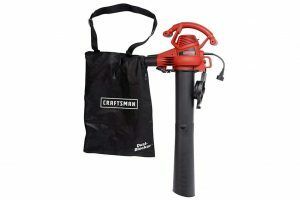 Unlike the Troy-Bilt unit, you will get a vacuum, chipper and blower combo with the Patriot Products model. This is really handy for anyone who has twigs and other debris that require additional cleanup. Normally it would not be reasonable to compare two models with such a drastic price difference. 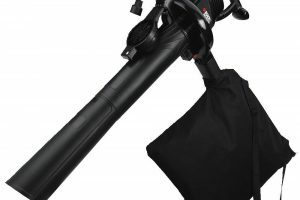 Despite the additional functions, the Patriot Products blower does have a few shortcomings. The Troy-Bilt blower is easier to start and also allows easier maneuverability. Many users complained about how heavy the Patriot Products model got, especially after the bag began filling with chips. 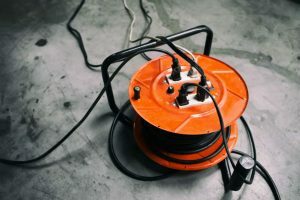 Although the 3-in-1 design of a vacuum, chipper and high airflow blower is nice for completing a full job, there are some pitfalls in the design of the Patriot Products model that should be noted. It is a heavy unit that is difficult to push. This is especially difficult for those with larger properties. It is a bit of a pain to push around, but it is hard to deny the convenience of the built-in vacuum and chipper. You can easily clean up your yard without needing additional tools to finish the job. The Troy-Bilt model lacks the additional functions. However, you cannot go wrong at its price point. This lightweight model is easy to maneuver across your yard. You will not have to exert a ton of energy in order to complete your yard work. Not to mention, it packs a lot of air power for being an entry-level unit. This machine is so powerful that you will have to be careful not to blow debris into your neighbor’s yard. You cannot go wrong by choosing either of these walk behind leaf blower options. 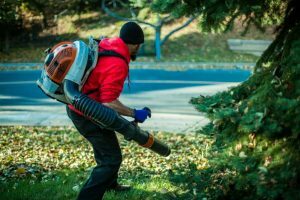 The decision should be based on whether your yard work calls for the additional function of a chipper and vacuum. In that case, the Patriot Products is your best option. Otherwise, the Troy-Bilt model is efficient enough to handle most jobs you throw at it.